Commenting on the Prime Minister's call for a General Election, Liberal Democrat leader Tim Farron said: "This election is your chance to change the direction of our country. Vince Cable, Business Secretary in the Coalition Government, has warned that the UK is "completely unprepared and completely ill-equipped" to strike trade deals once Britain leaves the EU. The Liberal Democrats have today published a paper setting out the challenges facing the UK's creative industries. A few weeks ago I was in Doncaster, filming for a Laura Kuenssberg documentary. They took me to a pub to meet a group of people who had voted Leave, and I got talking to one of the guys there - a Scottish businessman who'd lived in Yorkshire for many years, a bit older than me, pro-union, anti-Europe. The Liberal Democrats have published the interim report by the independent panel of health experts commissioned by Norman Lamb to set out a new deal for Britain's Health and Social Care Services. The panel is independent of the party and is making recommendations based on the experience and expertise of its members which they hope are considered by all political parties. This week's autumn statement shows a Brexit blackhole at the centre of government finance. Parliament has heard that hundreds of billions will be taken out of the economy just when we need it most. Liberal Democrats across our area and the country have been pushing the government to put their money where their mouth - with an immediate £4 billion cash injection to stop the impending winter NHS funding crisis. Coventry City Council has recently announced that five libraries (Caludon, Cheylesmore, Coundon, Earlsdon and Finham) within Coventry face closure if community support groups cannot be found to run them. Under the proposal, only Central, Bell Green, Foleshill, Stoke and Tile Hill libraries will remain under Council control in the city. The Coventry Liberal Democrats took part in the National Day of Action on Saturday 14th May, holding a street stall outside Coventry Central Library. The event was a huge success with many members of the public joining with us and highlighting how they believe that remaining in Europe will be positive for the United Kingdom. Former councillor and local campaigner Russell Field said, "The public response to the campaign was hugely positive. I am really enthused that the majority of the population of Coventry shares our belief that we are stronger in Europe." So much of the debate around Europe has been about financial projections, trading complex cost benefit analyses about what will happen if we stay or leave. And fascinating though that all is, my hunch is that it might not, on its own, clinch the right result. 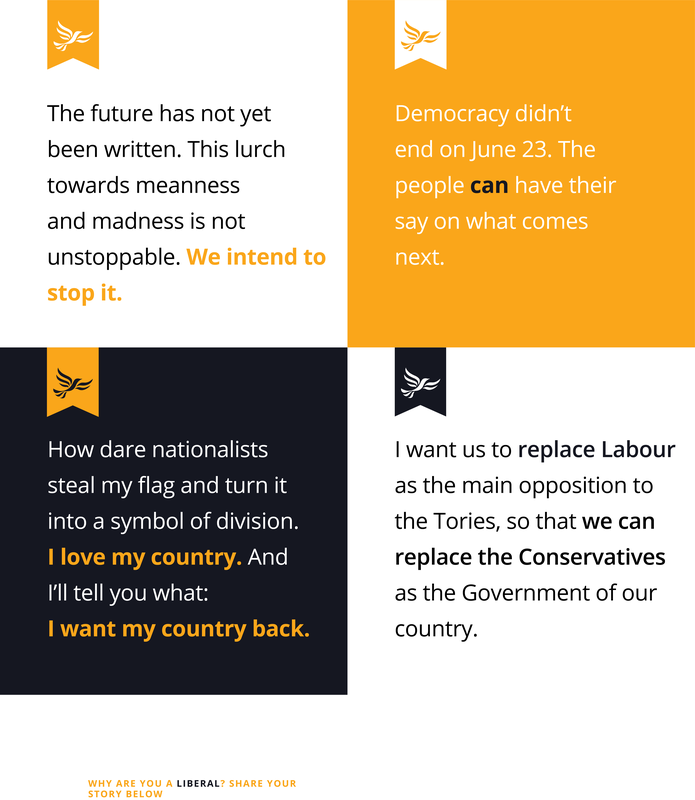 On 14 May, the Liberal Democrats are holding a national day of action with street stalls and campaigning across the UK to show our support for Europe and encourage the British people to remain #INtogether on 23rd June. Join us in the centre of Coventry for our #INtogether street stall, to hand out leaflets and encourage people to vote to remain in Europe on June 23rd!